They were high school classmates, spent their youth together in the school choir and certainly had similar dreams. But one rainy night 20 years later, Furusawa Mizue suddenly shows up at the home of popular scriptwriter Makabe Suzune, with her young son. She has lost her job, money and even the home she lived in. Claiming that Suzune is the only one she can turn to, Mizue beseeches Suzune to let her stay for one night. However, this quickly becomes a promise to stay until she gets employment. 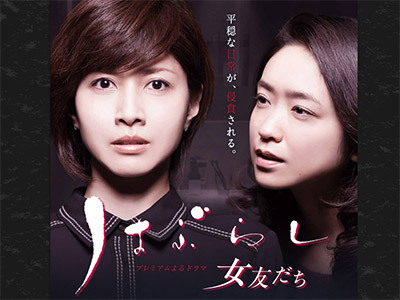 Unable to cruelly thrust mother and child away, Suzune�fs daily life and work get disrupted. Then, a series of strange incidents start to happen to Suzune�fs surroundings. Through this reunion of two classmates who have led completely different lives, all sorts of dormant feelings erupt and memories that they were starting to be forgotten are resurrected. ~~ Based on the novel "Haburashi" by Fumie Kondo. Nice, tight drama. Well written, good job by Uchida and Ikewaki. Good work by the supporting cast as well.